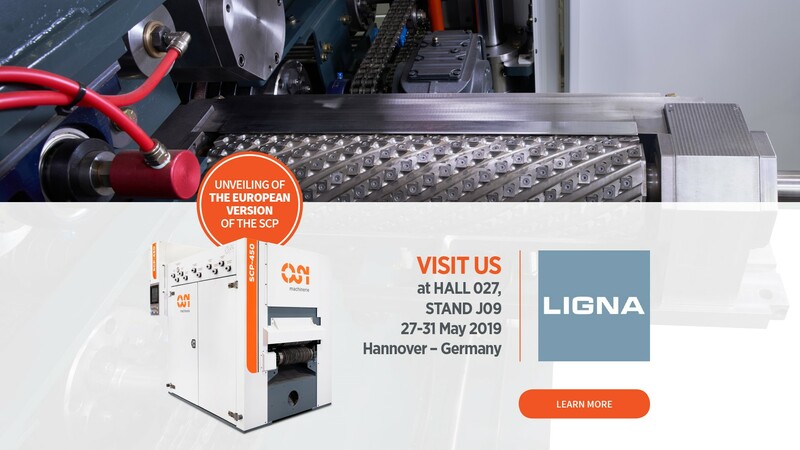 The OSI Machinerie team is proud to unveil the European version of its Self-Centering Planer, the SCP-450, at the LIGNA world fair in next May in Hannover, Germany. Visit the team from May 27 to 31 2019, in Hall 027, Booth #J09, where you will have the opportunity to see the SCP-450 in motion! This convention of woodworking and machining, machinery and tools will be an excellent showcase for OSI Machinerie in the development of the European market. This patented concept has proven its worth in the North American market (Canada and the United States) for nearly 20 years. Its reputation for reliability, material savings and optimal calibration has made this innovative concept an unmatched success. The OSI Machinerie team will be pleased to welcome you to LIGNA 2019 at Booth # J09 in Hall 027, where you will have the opportunity to see the SCP-450 in operation. See you at LIGNA 2019, Hannover, Germany. For more information on the Self-Centering Planer. For more information on our world-class services and the excellence of our assistance, contact us now.